Kenneth Branagh is a British actor, director, producer, and screenwriter. Check out this biography to know about his birthday, childhood, family life, achievements and fun facts about him. Sir Kenneth Charles Branagh, professionally known as Kenneth Branagh, is a British actor, producer, director, and screenwriter, who is well known for his film and TV adaptations of a number of Shakespeare’s plays as well as for blockbusters like 'Thor' and 'Cinderella.' Trained at London’s Royal Academy of Dramatic Art, he later served as its president, succeeding Richard Attenborough. Interested in dramatics from a young age, Kenneth Branagh joined the Royal Shakespeare Company, where he received acclaim for his performances in Shakespeare’s plays like ‘Hamlet’ and ‘Henry V’. He co-founded the Renaissance Theatre Company, and started adapting Shakespearean plays into films, making them accessible to the masses. This Irish-born British actor/director became one of the two non-American actors to be nominated for Oscars for writing, directing, and acting, and one amongst the only eight actors to have received this honor. A man wearing many professional hats, he has been active in the television industry as well. He played the title role in BBC radio broadcasts of ‘Hamlet’ and ‘King Lear,’ and has narrated several audiobooks. He received an honorary Doctorate in Literature from Queen's University of Belfast and has been conferred with the Freedom of the City of Belfast. He received the Lifetime Achievement Award at the RomaFictionFest in 2009. 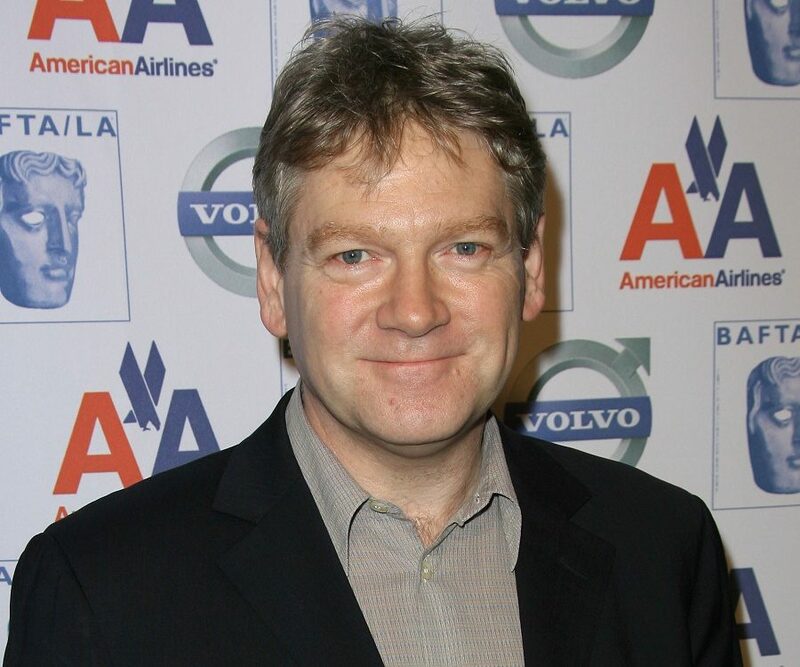 Kenneth Charles Branagh was born on December 10, 1960 in Belfast, Northern Ireland, to Frances Harper and William Branagh, a plumber who also ran a company that specialized in suspended ceilings and fitting partitions. He belongs to a family of working class Protestants. Kenneth has two siblings. When he was nine, his family left Ireland to avoid the ongoing violent religious conflict known as ‘The Troubles’, and settled in Reading, Berkshire, England. He received his early education at Grove Primary School, Whiteknights Primary School, and Meadway School in Tilehurst. In Meadway School, he participated in school plays like ‘Toad of Toad Hall’, and ‘Oh, What a Lovely War! Kenneth Branagh received training at the Royal Academy of Dramatic Art in London and embarked on a career as a stage actor. In 1982, he won the SWET Award for Best Newcomer, for his performance as Judd in ‘Another Country’, directed by Julian Mitchell. He joined the Royal Shakespeare Company and in 1984, performed in the company’s production of ‘Henry V’, directed by Adrian Noble. The play ran to full houses in London. Later, he would adapt this version of the play into a film in 1989. In 1987, he co-founded the Renaissance Theatre Company with English film producer and actor David Parfitt. 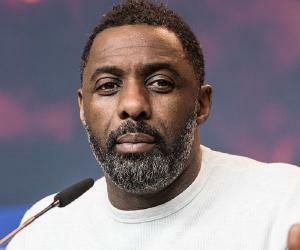 He experienced success with several productions including ‘Romeo and Juliet’, in which he co-starred with English actress Samantha Bond. One of Renaissance’s major productions was ‘Twelfth Night’ (1987), starring Frances Barber as Viola and Richard Briers as Malvolio. The play featured an original score by musician and composer Patrick Doyle, who would also compose the music for Kenneth's film adaptation of ‘Henry V’. In 1988, he collaborated with Birmingham Rep for a tour of three Shakespearean plays—comedy ‘Much Ado About Nothing’, romantic drama ‘As You Like It’, and tragedy ‘Hamlet’. The project was called Renaissance Shakespeare on the Road. In 1989, Renaissance presented ‘Look Back in Anger’, directed by Judi Dench, who also directed the television version. The play featured Kenneth Branagh and Emma Thompson. 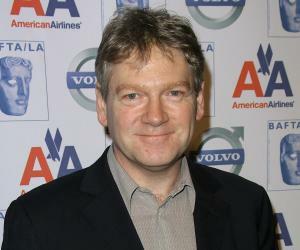 Kenneth Branagh became popular as an interpreter of Shakespeare’s works on the big and the small screens, making the plays accessible to the masses. He not only directed but also starred in a number of adaptations. He directed the film ‘Henry V’ in 1989, and also appeared as the title character. The film was critically acclaimed and he received Oscar nominations for his acting performance and direction. His next Shakespearean adaptation was ‘Much Ado About Nothing’, directed in 1993. The film featured him along with Emma Thompson. This was followed by ‘Hamlet’ in 1996, a musical version of ‘Love's Labour's Lost’ in 2000, and ‘As You Like It’ in 2006. ‘As You Like It’ was also aired on HBO in August 2007. His directorial venture ‘Love's Labour's Lost’ was not successful commercially and critically, and the movie’s failure almost ended his directorial career for some time. In the 1990s, he also directed two non-Shakespearean films, ‘Mary Shelley’s ‘Frankenstein’ in 1994 and ‘In the Bleak Midwinter’ in 1995. As an actor, he appeared in some non-Shakespearean films, including the romantic thriller ‘Dead Again’ in 1991, action comedy ‘Wild Wild West’ in 1999, the fantasy film ‘Harry Potter and the Chamber of Secrets’, and ‘Rabbit-Proof Fence’ in 2002, and ‘Valkyrie’ in 2008. He was critically acclaimed for his performance as SS leader Reinhard Heydrich in the TV film ‘Conspiracy’ in 2001. He also received an Emmy for his performance. 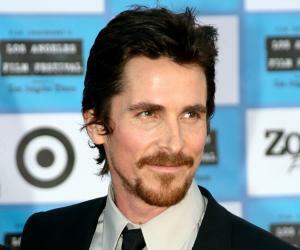 In 2002, he starred in the television movie ‘Shackleton’, and was nominated for a BAFTA award and an Emmy. In 2006, he directed the film version of Mozart's opera ‘The Magic Flute’. This was followed by his directorial venture, the thriller film ‘Sleuth’, which was a remake of the 1972 film of the same name. He portrayed Dormandy in Richard Curtis’ film ‘The Boat That Rocked’ in 2009. In 2011, he directed ‘Thor’, an American superhero film based on Marvel Comics characters. The film was a commercial success, and the performance of the cast received critical acclaim. In the same year, his appearance as Olivier in ‘My Week with Marilyn’ earned him an Oscar nomination for best supporting actor. He appeared in several TV films as well. His portrayal of US President Franklin D. Roosevelt in the 2005 film ‘Warm Springs’ earned him an Emmy Award nomination. He played the title role in the radio version of ‘Hamlet’ and ‘Cyrano de Bergerac’, broadcast on BBC radio. He also played the role of Edmund in ‘King Lear’, broadcast on radio. In addition, he narrated several audiobooks like ‘The Magician's Nephew’ by C. S. Lewis. In 2015, he directed ‘Cinderella’, an adaptation of the fairy tale. Co-produced by Walt Disney Pictures, the film featured Lily James and Cate Blanchett as Cinderella and Lady Tremaine respectively. The film was a financial success, grossing $201.2 million in the US and Canada, and a total of $543.5 million worldwide against a budget of $100 million. 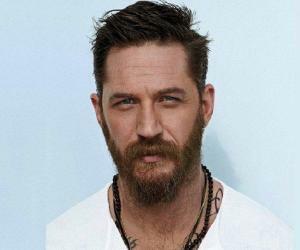 In 2017, he played the role of a British naval commander in the World War II, in the film ‘Dunkirk’. The film highlights the evacuation of the Allied troops from France. That same year, he directed the film ‘Murder on the Orient Express’ based on Agatha Christie’s novel. He appeared as the detective Hercule Poirot. One of Kenneth Branagh’s early works, ‘Henry V,’ received much praise. The historical drama film was adapted from William Shakespeare's play of the same name. Branagh starred in and also directed the film. Besides him, the film had Paul Scofield, Derek Jacobi, Ian Holm, and Emma Thompson. 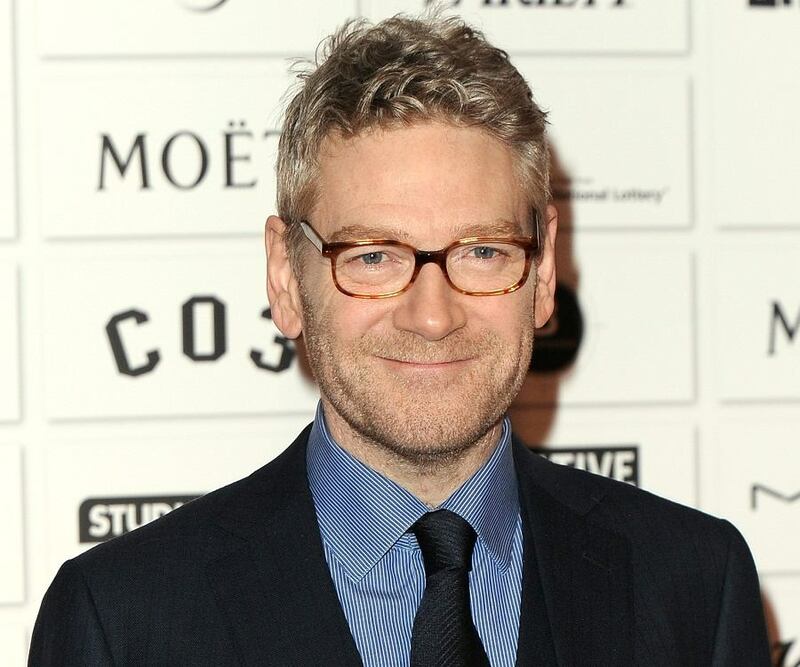 The film received worldwide critical acclaim for Branagh's performance and direction, and was nominated for three Oscars. He won the British Academy Film Award for best direction. His directorial venture ‘Thor’ was a huge commercial success. It earned $181.0 million in North America and $449.3 million worldwide, making it the 15th highest grossing film in 2011. It starred Chris Hemsworth as Thor, Natalie Portman as Jane Foster, Tom Hiddleston as Loki, and Stellan Skarsgård as Erik Selvig. Patrick Doyle composed the film's score. The film bagged one Empire Award and one Saturn Award, besides earning several other award nominations. While still married to Emma, Kenneth started having an affair with actress Helena Bonham Carter while he was directing and co-starring with her in ‘Mary Shelley's Frankenstein’. Emma ended the marriage in 1995. His relationship with Helena continued for several years. 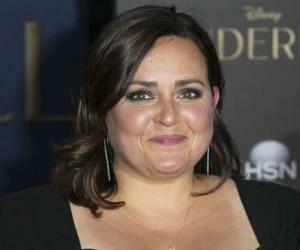 He met film art director Lindsay Brunnock during the filming of ‘Shackleton’. They got married in 2003. He meditates regularly to keep himself calm and balanced. He is the Honorary President of the Northern Ireland Council for Voluntary Action, and a patron for Over The Wall, a charity. He was appointed an honorary Doctor of Literature at the Shakespeare Institute of The University of Birmingham in 2001. He wrote several books about his filmmaking. He released his autobiography, ‘Beginning,’ in 1989. In 2015, he became the President of the Royal Academy of Dramatic Art, and owing to this position, he was named on Debrett's 2017 list of the most influential people in the UK.